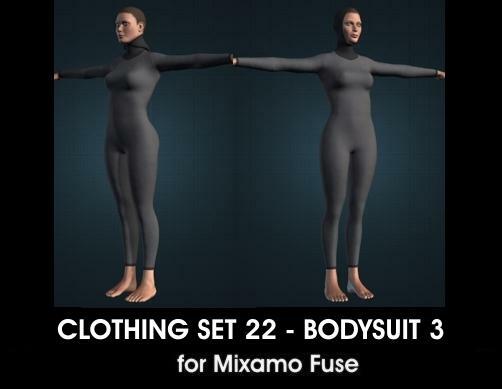 This asset includes 2 different bodysuit versions parts for the use with mixamo fuse. This is the perfect base as a diving suit or a chainmail. Every sport clothing part comes with a default texture set. Diffuse, normal, specular, glossy map and a material file for unity3d. Every map has 1024X1024 pixels. Included are two template files for your own texture creation, with your prefered graphic software.